Hollywood star George Clooney and his human rights lawyer wife Amal on Tuesday pledged $500,000 to help fund a student march on Washington, giving a huge boost to what is considered an unprecedented youth mobilization against gun violence. The "March for Our Lives" is scheduled to take place on March 24, with sister rallies planned across the country demanding that Congress come up with effective legislation to address the epidemic of gun violence in the United States. On Tuesday, Oprah Winfrey tweeted she "couldn't agree with you more" to the Clooneys. Winfrey vowed to match their $500,000 donation. It comes after authorities say a 19-year-old armed with a semi-automatic rifle killed 17 people at a high school in Parkland, Florida, last week, and is being organized by surviving students. The teenagers, who have grown up with mass shootings at schools, have vowed to make the tragedy a turning point in America's deadlocked debate on gun control. 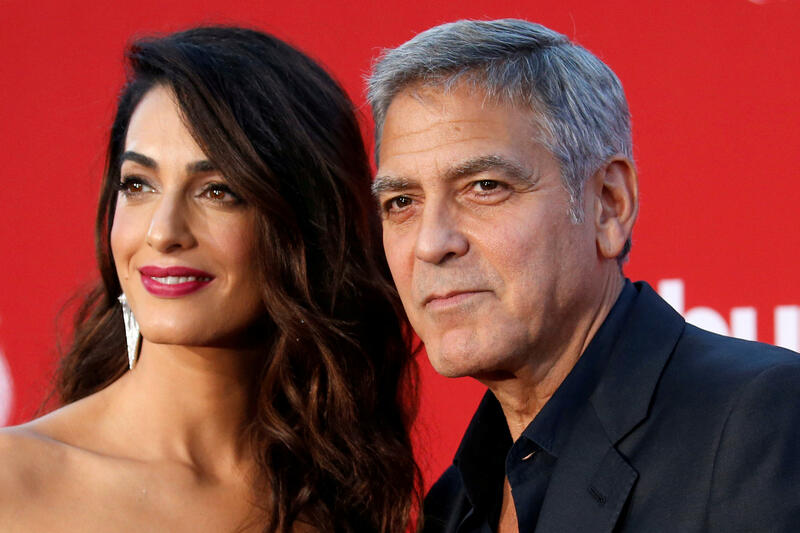 "Amal and I are so inspired by the courage and eloquence of these young men and women from Stoneman Douglas High School," Clooney said in a statement. "Our family will be there on March 24 to stand side by side with this incredible generation of young people from all over the country," he added. "In the name of our children Ella and Alexander, we're donating $500,000 to help pay for this groundbreaking event. Our children's lives depend on it." The pledge from the Clooneys, one of the biggest A-list couples on the planet who announced the birth of twins in London last June, comes after other celebrities have called for greater gun controls since the Florida shooting. "We want to express extreme gratitude for the amazing donation that George Clooney and his family have made," tweeted the Never Again account representing survivors of the Florida shooting. "We are overwhelmed with the support, and we can't wait to march." Congress is deadlocked on the gun debate, accomplishing nothing even after last October's killing of 58 people by a gunman in Las Vegas who had amassed 47 firearms to commit the worst mass shooting in recent U.S. history. The White House says President Trump is supportive of efforts to improve background checks for gun purchases, but many want far more sweeping reforms. Trump reviewing background check bill at odds with his 2019 budget? The students organizing the March 24 rally say they are fed up "waiting for someone else" to take action to stop the epidemic of mass school shootings, and are demanding a "comprehensive and effective bill" in Congress to address gun violence. "Politicians are telling us that now is not the time to talk about guns," their mission statement said. "Every kid in this country now goes to school wondering if this day might be their last. We live in fear.